In a mixing bowl,sift flour,salt,sugar and baking powder. Stir in heavy cream to moisten the dough. The dry bits should not fall when you squeeze the dough. Turn the dough into lightly floured work surface. very gently pat it into a 8" circle. Use the sharp biscuit cutter and cut into round shape. Dip the rounds in melted butter and place in baking sheet. Bake it for 15 -18 minutes until golden brown. Split the biscuits in half. 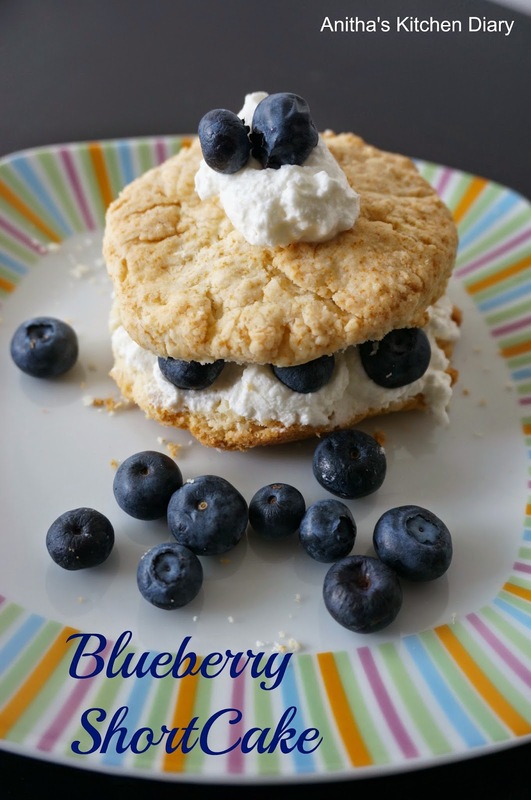 Top the bottom half with whipped cream and blueberries.then the top of the biscuit.Add a dollop of whipped cream and a blueberry on top as a garnish.